Hi, you all know I love the Painted Harvest stamp set but what makes it even more fabulous is that it is so versatile – you can create more than just flowers (although even if you only ever made flowers, you’d be creating amazing cards!). 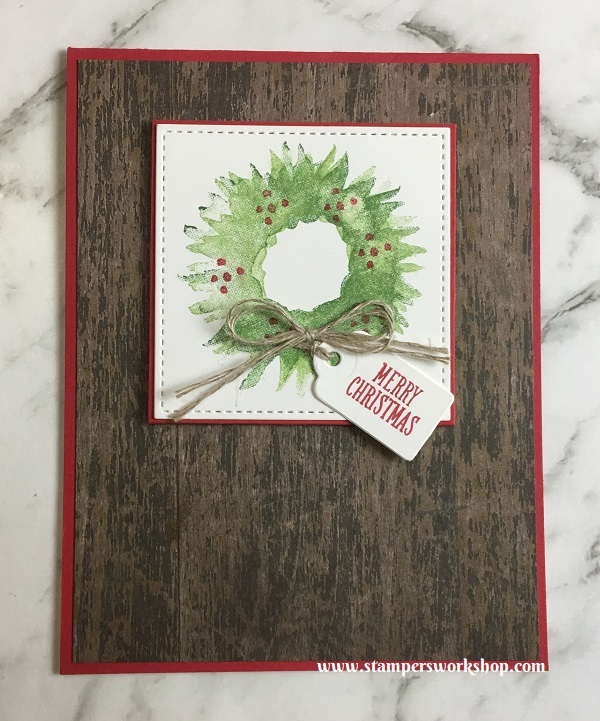 Yesterday I was chatting with my friend (and Team Leader), Melissa, about the Painted Harvest set and she shared with me the most darling Christmas Cards. Yes, you can make amazingly cute, but super simple, Christmas cards using the flower image to create a Christmas wreath! Of course, you know I had to try making my own…and I couldn’t stop with just one card! For the first card, I stamped the base of the flower in Wild Wasabi and then rotated it slightly and stamped it again in Garden Green. Then, using the little dots stamp included in this stamp set, I stamped out little holly berries using Real Red ink. How good does that look?! Love it. I applied a coating of Clear Wink of Stella to add a little shimmer. The wreath was finished with the addition of a little Linen Thread tied in a bow (but you could use ribbon or even another stamped image) and a tag which was stamped with the sentiment. For the second card, I created the base of the wreath in the same way however I decided to add rhinestones for the holly berries. I don’t have red rhinestones so I used the new Stampin’ Blends (coming soon) in Cherry Cobbler to make them the colour I needed. 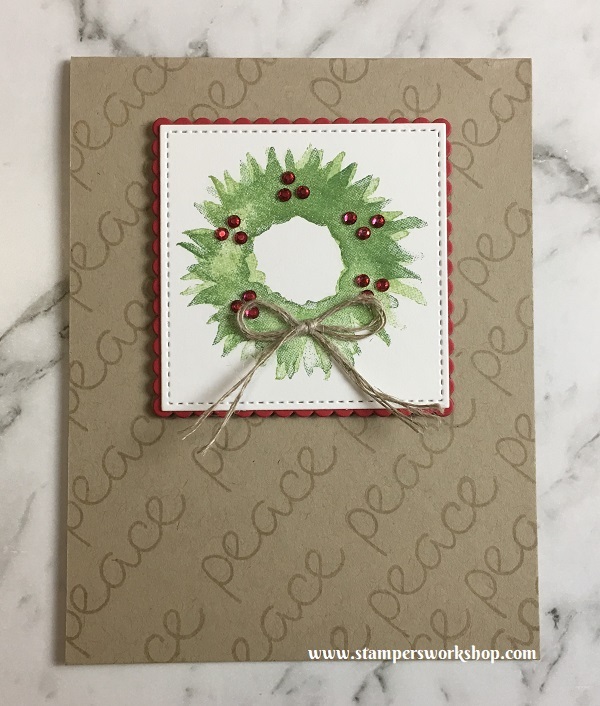 Instead of adding a separate sentiment I stamped “peace” repeatedly over the Crumb Cake cardstock using Versamark ink. It’s subtle but looks fabulous! Isn’t this fun?! Don’t you just love a stamp set which proves to be even more versatile than originally thought? I sure do! You can get this stamp set, plus all the supplies you need to make fantastic cards at my online store.